Average to dry soil. Very drought tolerant. Rock gardens, edging, native plantings. A good choice for boulevard plantings. Tough and easy. 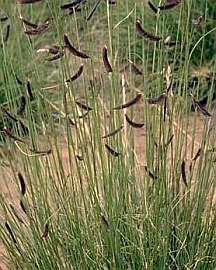 A native alternative to blue fescue. Can be cut or mowed once or twice each season.